A sharp looking fry pan for your kitchen! Add this special 12-inch Stainless Steel 2-Piece Stir Fry Cookware Set with dome lid to your kitchen arsenal of cooking equipment. You will provide enticing, healthier eating for your family using this type of stainless steel cooking pans which are multi-ply construction. Multi-ply stainless steel construction Creates a durable and dependable cooking ware. Glossy satin interior and exterior Is attractive and suitable for any kitchen decor. 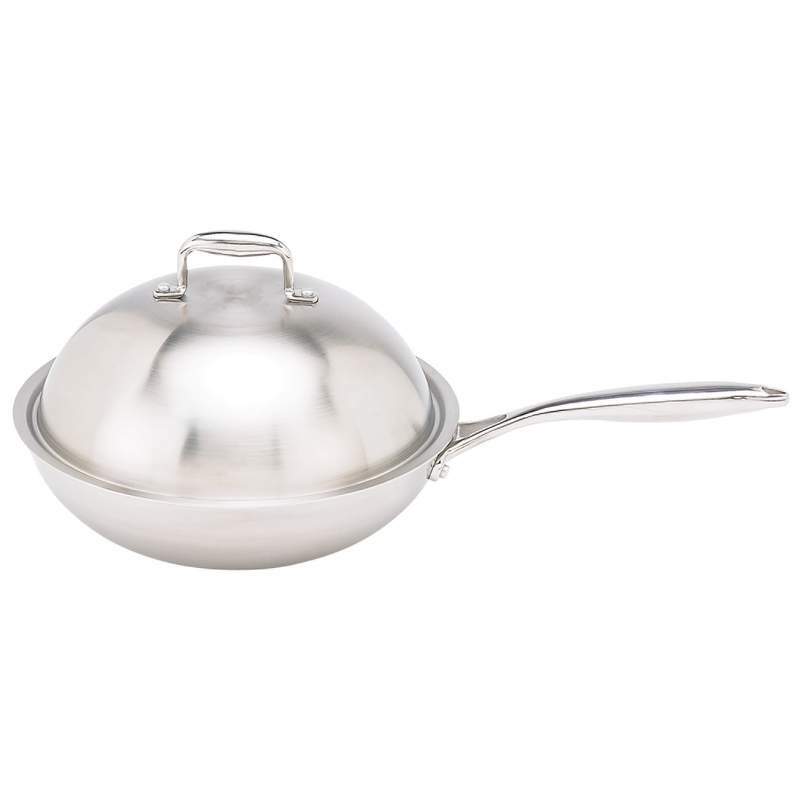 Steel cast handles and knob Provide sense of security when handling hot pan.